The #1 Fire hazard in our home is our own dryer vent. After a significant build up of debris in the dryer vent hose, the dryer overheats and the lint catches fire. Combustibles in the immediate vicinity then help fuel the fire. Since the key to effective dryer performance is optimal airflow, consider having your dryer vent inspected by our skilled technicians, who will check to ensure there is proper airflow for the dryer and that the right equipment is in use. 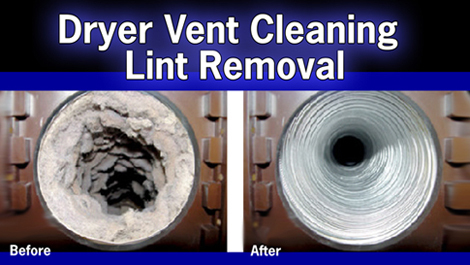 In addition to eliminating a fire hazard in your home, annual dryer vent cleaning helps the dryer to operate more efficiently, reducing your energy costs significantly. © 2009 purelle-air.com All Rights Reserved.